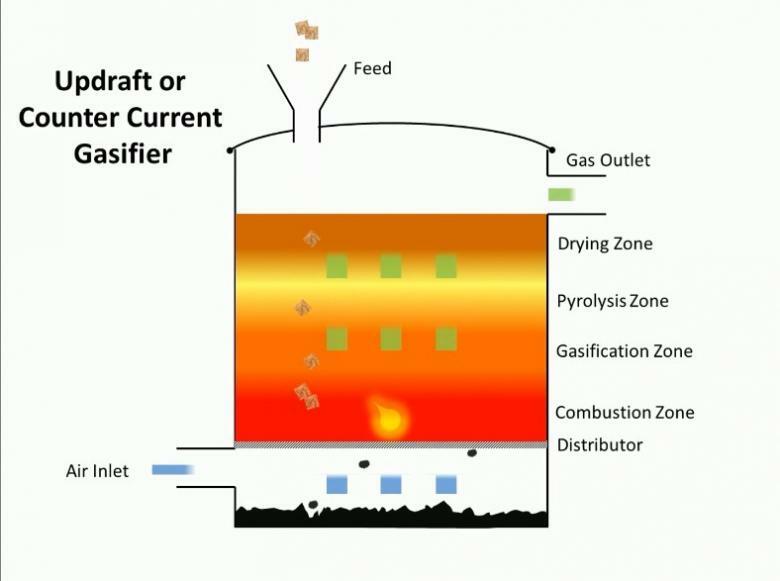 The updraft fixed bed ("counter-current") gasifier consists of a fixed bed of carbonaceous fuel (e.g. coal or biomass) through which the "gasification agent" (steam, oxygen and/or air) flows in counter-current configuration. The ash is either removed dry or as a slag. The slagging gasifiers have a lower ratio of steam to carbon, achieving temperatures higher than the ash fusion temperature. The nature of the gasifier means that the fuel must have high mechanical strength and must ideally be non-caking so that it will form a permeable bed, although recent developments have reduced these restrictions to some extent. The throughput for this type of gasifier is relatively low. Thermal efficiency is high as the gas exit temperatures are relatively low. However, this means that tar and methane production is significant at typical operation temperatures, so product gas must be extensively cleaned before use. 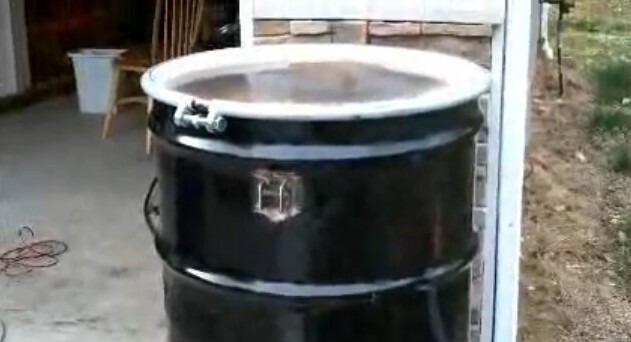 The tar can be recycled to the reactor. The updraft gasifier consists of a top fed fuel bed through which the "gasification agent" (steam, oxygen and/or air) flows in from the bottom and exits through the top as gas. 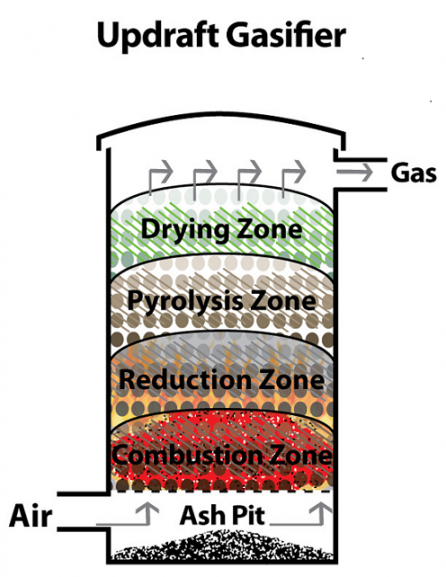 Updraft gasifiers are thermally efficient because the ascending gases pyrolyze and dry the incoming biomass, transferring heat so that the exiting gases leave very cool. The updraft gasifier has been the standard of coal gasification for 150 years and it's also popular in biomass cook stoves.